A few years ago my daughter and I were going somewhere in the car when I gasped and pulled over to stop and look at some cloud formations over the sunset. We sat and watched for a few moments. As we drove off, Molly thanked me for being the kind of mom who saw those things and made her aware of them. Her friends enjoy it now when she is the one showing them the natural world. It really never crossed my mind that other people forget to look, but since then I've watched and noticed that she was probably right. Of course, I should mention that there are lots of things that other people think that I miss. Fashion, for instance, is beyond me. The other day we were at a local restored homestead that gets a decent amount of tourist traffic. While everyone took the tour, my sister and I spent our time wandering by ourselves, looking at the authentic plantings on the grounds and talking about why people needed them 200 years ago. This year, trees have really been catching my attention. In the spring it was Linden, in the mid-summer it was mimosa and cherry, and now the nut trees are calling to me. So as we walked past the fruit orchard, we started noticing the different nut trees lining the lane leading to the farm. The chestnut trees can not be the original American Chestnuts; 99.9% of those were killed by disease in the early to mid 1900's. It's a little unusual to see lots of English Walnut trees around here, but there they were. In fact most of the trees have probably been planted during the last 50 or 100 years, but it made me think about how valuable those trees would have been to homesteaders all those years ago. The food, the wood for building and burning, and also the fact that plantings would have been planned to bring in different wildlife for the supper table. Mints grew along the side of the one barn, and hops grew up a rustic lattice on the side of the herb garden. The herb garden itself was surrounded by a 5 foot rough hewn stockade fence. I didn't see vegetable gardens, but they would have been large and orderly on a PA German homestead. We'll probably tour the buildings sometime in the near future, but the grounds were fascinating and thought-provoking. It's easy to forget that most living took place outside not so very long ago. Not too many years ago, I was at a gas station and looked up to see a bald-eagle perched on an electrical tower, looking down at us. For at least 10 minutes I stood transfixed, watching this magnificent, rare (in this area) bird. It was a busy place, and I am pretty sure that nobody else ever looked up. Be sure to look up every now and then. We are continuing with the early season here. Lots of surprises and oddities. Yesterday there was an immense storm that I watched from the basement, leaning on the banister - which I could feel moving because of the high winds. The Munstead lavender is already having a vigorous second bloom, something we don't see typically for another few weeks. There is a lot more than usual too. Fuller's teasel is everywhere, and I'm starting to see more of the white blooms which used to only be in neighboring counties. And the butterflies have FINALLY made it to my house! The deliciously fragrant moonflowers are very early this year, and have climbed halfway up one of the living room windows, scenting the room in the darkness. The main vegetable garden is holding its own against the weeds, but in fairness, this is a few days old and has quite a few more weeds. Tonight I will work on them. The holy basil is on a mission to bloom. I am on a daily mission to keep it from doing so. The book should be here within an hour or so, and we'll be just about ready to swap the books for the magazine file - so that will be ready in another week or so and another spectacular issue will go into the mail for Sept/Oct. This is the first really moderate day we've had in weeks, with temps in the 80's and low humidity. What am I doing inside? I live in the middle of a field. Until this house was built 10 years ago, the land was part of the tree farm that surrounds it on 3 sides. The lawn has been seeded with grass, but in all honesty it is simply a uniformly trimmed selection of field weeds, which is fine with me! Gardening in the middle of a tree field is a challenge. It is a wonderland for deer, rabbits, groundhogs, possums, skunks, and even foxes (and apparently now coyotes). From my hilltop deck, I can watch literal herds of rabbits running together through the rows of trees, and goofy groundhogs carelessly scooting along from weed to weed. After years of frustration and disappointment, we put a fence up last year. What a difference it made! Instead of finding my heirloom beans nibbled down to pathetic nubs, they grow up the sides of the fence. The cucumbers are producing madly, also climbing the fence. Tomatoes use the fence for support, and most importantly, the holy basil is safe and sound. I think we got it at Lowe's, and it was something like $150 with some stakes left over (15' x 40'). The corner stakes are metal and need to be driven in with a sledge-hammer. The side stakes are plastic, and have sharp spikes on the bottom that you just heel in. On the inside of the stakes, they have tabs that hold the grid of the fence snugly. Three of us got it up in a couple of hours. I thought we'd have to take it down to roto-till this spring, but it wasn't necessary. Since there are some perennials planted along the sides, I just marked them carefully before setting my nephew loose with the machine. This fall, I'll probably look for something similar but taller - like 6' - to go around the blueberry and currant patch. Then we could just drap it with bird netting. Baby bunnies probably wouldn't have had much trouble getting in, but if they did they didn't cause much trouble. This has been a great solution to our garden nuisance problem. Although some of these animals can climb, I think the fencing doesn't feel sturdy enough to them. Now, if I could just find a better solution for whatever makes the groundhogs want to build condos under my front porch steps, everything would be great. Every so often, if I step back and look at life from a distance, the big picture can be a huge surprise. We all go along doing what we do, rarely noticing the ebb and flow that makes up our days, weeks, months, years... My own life is so entwined with my business that it is impossible to see edges and borders. That's ok, I think most people who are self-employed doing something they really love would agree that there are very few divisions. 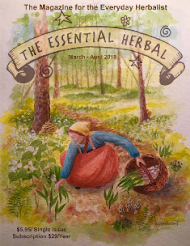 Considering that The Essential Herbal is a magazine that focuses on seasons, it keeps me grounded (if slightly ahead of the current season). If I look at this month the way I look at a snapshot, it would have to go into the category of "humorous candid shot". First, with 15 days until the next magazine deadline, it looked like a good window to finally finish the Balms and Salves book. It needed some photography, editing, and of course, Maryanne's immeasurable lay-out skills. In the meantime, my sister and nephew were after me to watch the first 3 seasons of Mad Men, so that when the series starts up again towards the end of the month I'd be up to speed. 39 hour long shows cut down to about 45 minutes each because the commercials were cut. If you ever want to get a clearer view of the time leading up to the women's movement, the civil rights marches, and how very far back in the closet gay people lived in the 60's, this is great social commentary! Really well done. I had forgotten how it was then. The soap shelves of Maryanne's wholesale soap biz were well stocked, and most of the regular customers had ordered towards the end of June, so we were feeling well prepared. So here is the past week: The book is beautiful and exactly what I'd imagined, at the printer and will be delivered Monday. The option for pre-ordering has gotten a fabulous response, and stacks of envelopes are addressed and waiting to be stuffed and shipped. I'm eagerly awaiting the next season of Mad Men. The file holding articles for the Sept/Oct issue of the magazine is full and ready for us to start. And then.... all hell broke loose on the soap front! Over the course of 2 days, orders - BIG orders - started flying in, and now we have 17 batches planned by Monday, just to restock the forlorn shelves. Then we can put the magazine together - in plenty of time. Somewhere in there I'll write the article I've been planning, the field notes, and put together a crossword puzzle. I usually wait to see if there is space. In between, we've been trying recipes to use the cucumber glut, gathered herbs for drying, cared for the house and gardens, and done all the things that life requires - oh, and there's that sleep thing. I want to save this particular "snapshot" for those days when I feel like I'm just not doing anything with my life. 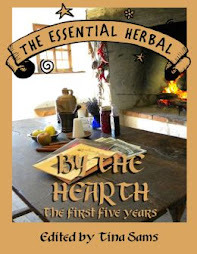 A New Book from The Essential Herbal! It's been in the works for a l-o-o-o-n-g time. I can't even remember when we really started putting it together, but probably at least 2 years ago. Recipes and ideas were tucked away, waiting until life cleared the decks for us to get back to this. So I'm very excited to be getting ready to release this new book. 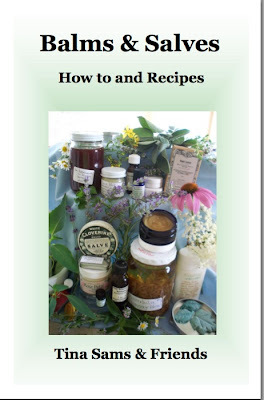 Balms & Salves - How to and Recipes is available for pre-order on or before July 18 at a discount. After that, it will go to the regular price, and also be available wholesale. Over the last 20 or so years, we've created, concocted, or picked up recipes, played with them, changed them, and perfected them to our own liking. We standardized all the measurements so that they would be easy for everyone to make in small quantities - and they're easy enough to double (or more) if it turns out you love them. Rosanne Tartaro contributed information on essential oils and base oils. Maryanne Schwartz wrote about butters. 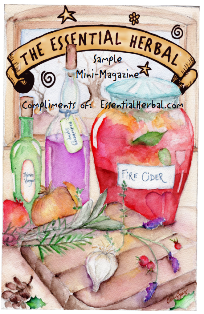 There is a section on infusing, and another on the herbs that are used in the recipes. We also have a section where our friends sent their instructions and recipes for their favorite concoctions. Be sure to check it out. It's a great little book! This morning when I checked out what my friends have been up to on Facebook, and the first post was from Gail Faith Edwards. She talked about the solar eclipse that although not visible in our part of the world, is happening today. The suggestion was to write down our intentions for ourselves and our families. That struck me very deeply, and made me think about the paths we all follow, and whether or not we plan them or just let the wind blow us along. With a kid in college, this is a big topic in our house, but it usually focuses on those who are just beginning the journey. Sometimes we forget that no matter where we are in our travels, we still need to be headed in some direction. Just last night I was wondering about this in a vague way. It was one of those moments when I was feeling unsettled and bored (it could have had a lot to do with the long, gray day), considering whether I was still moving along, or had just settled into a rut. That may seem silly to someone on the outside looking in. The most recent book went to the printer last week and will go on sale tomorrow. 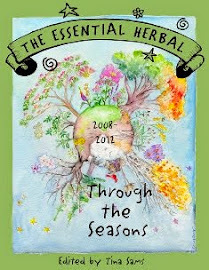 We began work on the Sept/Oct issue of The Essential Herbal yesterday. The fall/winter compilation of the first 5 years (By the Hearth) is in the works for a September release, and all of the necessary parental paperwork for the next year of college is properly filed. But those things are all external. So Gail gave me a shove to really think about the next bend in the road, and what I'd like to see when I get around it. Everything requires some planning and thought. Before we move a muscle we first think of it, even if we don't notice it anymore. Certainly we can allow the wind to take us where it will, but is that where we want to go? I know some things that are on that path, now I just have to give them some thought and breathe them into life. My kitchen is filled with mimosa blossoms and St. Johnswort, and the mints were all threatening to bolt. I decided to try something new, and it worked out beautifully. The second floor here is hot, so the guest bedrooms there serve as storage. I spread a sheet over the rug, and spread baskets full of mints in rows. In a few days, they were perfectly dried. Here you can see the stems half stripped into mason jars. After getting one side done, I moved to the other side and started from there. It was really nice because all the mess stays on the sheet, so all I need to do is take it outside and shake it before starting over. After all the leaves are taken off the stems, I put them in the food processor for a quick whirl. Normally I leave the leaves whole, but these are being dried specifically for a tea blend that I'm running very low on. It is really amazing how little finished herb there was, considering that each of these mints started out as fresh, overflowing, large gathering baskets. A long time ago when we were operating 2 shops, we decided to attempt to harvest and process our own catnip. It seemed silly to buy something that grew everywhere, and we were selling nearly a pound a week. The labor was intensive, the space it took up was insane, and we never tried that again. But now it is something I truly enjoy. The room smells heavenly. Wow - I just noticed this is my 601st post. Sort of makes you wonder if I'll ever run out of things to say, doesn't it? Summer holidays remind me of Poppy. I can still see him out in the yard on a chaise lounge, with a radio on either side, listening to baseball games and dozing. My grandfather, Fred Mast, died 40 years ago. Yesterday my sister and I were talking about how much Poppy would have loved the farm here, and how much he would have enjoyed our kids. He and my brother in law Bob would have a menagerie, and the plantings those two would create together would be breath-taking (if somewhat unorthodox). It made me realize that even though he's been gone for so long, he is still very much in my heart. The conversation started as a discussion of the weather, and Maryanne asked if I remembered how Poppy went to the farm auction one year and brought back a huge box of tomato plants which he then watered one-by-one with a coffee can. All summer long. As children, Mom moved her brood of 5 into our grandparents' house for 7 or 8 years until she built her business enough to move us to a run-down farm 1/2 mile down the road. Poppy was a farm boy, and before we knew it, there were chickens, goats, and ponies in the barn and yard. He planted a quarter acre garden next to the old apple orchard, and attempted to get us to weed it. Every day, he'd come down and care for the animals and tend the garden. He loved it. It was only recently that it dawned on me that it also gave him a chance to get out of the house where he could chew tobacco with abandon. Our grandmother Mimi didn't approve, so they had an arrangement where they both pretended he didn't chew. He was really just a big kid trying to fit into the adult world. Times were so different then. Yesterday I found myself watching "Andy of Mayberry". Looking at Aunt Bea, with her old lady hairdo and old lady clothes, I realized that she was probably only in her mid-50's. Back then, we all had very specific slots to fit into. If I look at my mother's high school yearbook, all the graduates look so... adult. The kids in mine look like kids. In my daughter's yearbook, the graduates all had very individualistic portraits taken. 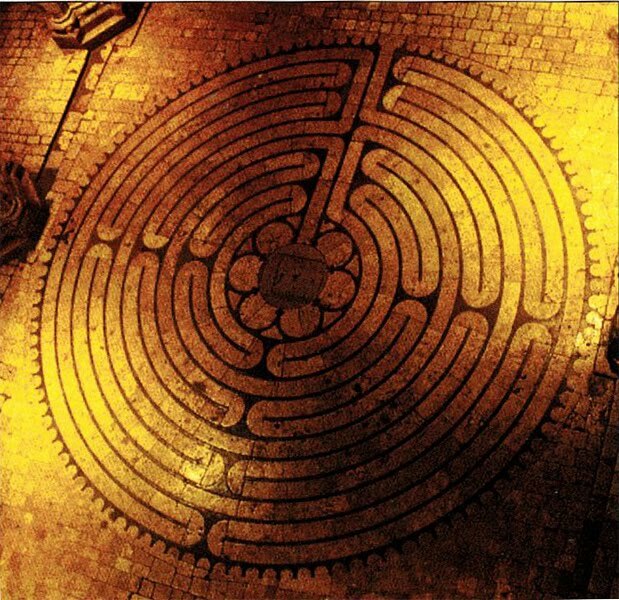 No more cookie-cutter people, and what a relief that is! There are so many funny memories I have of Poppy. He used to sing little songs to us, or dance little jigs to crack us up. He hated to see us sad or crying, and would say, "oh now don't let those steers (tears) get out of the corral". He was shy and humble, so that as we grew into young teens in the turbulent 60's he didn't know what to say to us anymore, but he was there to help us or support our dreams. There was nothing he wouldn't do for us, but woe be unto the child or adult who had a mean word to say about his wife or family. He loved his family fiercely with no expectations. He was a good man all the way through. Not to say that he never did anything wrong, but he quietly lived his life in service to his loved ones, getting enormous satisfaction from that. My mom told me one day that she'd met someone Poppy worked with, and the man told her how proud he was of her, and it made her cry because he was not a talker. I found one of his old carpentry ledgers, and there was a whole page where he'd practiced writing my sister's name. His 8th grade education made it difficult to be married to my college educated grandmother, I'm sure. We took him for granted, and when he died suddenly, we were all completely devastated. Whenever I imagine an afterlife, it is Poppy who is there, waiting to show me the ropes. Our dog Baby is playing at his feet. I see him in each of my siblings and even in our children who never had the chance to meet him. He inspired each of us in different ways. For me, it was about plants and nature in general. He had an amazing relationship with the natural world, knowing all the plants and animals, what the clouds meant, rocks, how to build things, and how to survive and take care of people. He took us fishing (and had to remove more than one hook from a little hand), to the beach, to the mountains, and through meadows and streams. He was a tough act to follow for my brothers, and even tougher for the future men in my sister's and my lives, although I think we both found him in them eventually. Looking back, we never gave him credit for how smart he was because if anyone noticed, his comment would be "gosh-a-monkeys", which basically means "don't be silly". There's not really a point to this post. He's been on my mind, and I'm not sure I ever told him that I loved him.